The article details the features of optical measurements for networks PON: kinds of measurements, factors affecting the quality of transmission, measurement schedules and measurable parameters. The problems encountered at such measurements and their solutions are discussed. The necessary test equipment and its parameters important for application in PON are enlisted. Construction of a modern high-quality optical network is impossible without a high level testing of its quality. It allows you confirm the basic parameters which ensure quality of information transfer and, if necessary, helps the installer to determine the nature and location of damage. Measurements in passive optical networks are quite time-consuming and expensive. Therefore, measuring devices shall be carefully selected taking into account characteristics of the given networks, and stages and methods of measurements should conform to international standards for PON. Inspection testing of parameters of the network components is carried out prior to construction. It is aimed at verification of compliance of parameters of cables, cords, splitters and other devices with the stated values. However, it is not always feasible at construction of small subscriber networks, because full inspection testing of all PON components is time-consuming and requires quite expensive equipment. It would be easier to perform sampling inspection (e.g., of attenuation factor for several construction lengths of the cable) and trust the supplier’s warranty. During network installation, measurements to assess the quality of construction and assembly works (for example, suspension of a segment of overhead optical cable on supports, welded connection of optical fibers, etc.) are carried out. Hand-over measurements are performed on termination of construction and assembly operations in order to confirm the set network parameters which shall ensure quality of information transfer. Performance measurements are carried out in the cases when deterioration of signal parameters or damage in any network point happens during PON operation, and also after repair-and-renewal operations. Measurements associated with quality control of components and quality of the very PON installation may be required during construction works. These include measurements of attenuation of construction lengths of optical cable, loss in welded joints, attenuation and reflection loss of passive components (connectors, splitters). Optical reflectometer (OTDR) suits the best with this purpose; it is connected to one end of the line and gives distribution of the reflected power along its length. The measurements result into a graphic dependence (reflectogram), which characterizes power distribution of optical signal along the line. Thus, by the characteristic curve on linear sections, one can determine the attenuation factor for optical cable (dB/km), and for local irregularities (welded and plug connections, bends of fibers, etc.) – determine the insertion and reflection loss (see figure below). Upon completion of construction and assembly works, it is feasible to perform reflectometric measurements on individual segments of the network (if possible – at two wavelengths) and keep the reference reflectograms. It would be very helpful for finding the damage locations (or irregularities) during further operation – to overlap the initial reference reflectogram and the “emergency” one (many models of reflectometers are provided with such function). Sometimes it helps you understand quickly the failure nature and find its location. It is also recommended to make reflectograms when changing the network topology (connection of a new subscriber, replacement of a splitter, etc.). During acceptance works, parameters which characterize transmission rate, absence of errors and other quality indices of the received signal are measured as a rule. The main factors acting in the linear path (between transmitter and receiver) and limiting the quality indices are: attenuation, dispersion (chromatic and polarization), and nonlinear effects. “Practice of designing the passive optical networks (PON)”, total attenuation depends on the line length, number of passive components and attenuation in them, as well as the number of plug-type and permanent connections. Total attenuation in a linear path must be measured for compliance with the calculated loss budget. Measurements of loss introduced by individual network components (connectors, splitters, etc.) may be also carried out. Dispersion of optical signals is associated with different propagation rates for different spectral (chromatic) or polarization (polarization-mode) components. It results in worsening of the pulse form or phase distortion of analogue signals in optical fibers. Sufficiently great dispersion results in signal recognition errors of photodetector, and again, in deterioration of signal/noise ratio, increase of the error rate or distortion of TV signals (SCO). The greater of the two components – chromatic dispersion – depends on the line length, signal wavelength and fiber parameters. Such a dispersion has a significant influence on the signal waveform at long lines (tens and hundreds of km) at high transmission rate (over 1 GB/s), especially at a wavelength of 1550 nm. Estimated value of chromatic dispersion can be used in design calculations (especially GPON), but during construction and operation measurements of this parameter are not generally carried out. Nonlinear effects in optical fibers occur at sufficiently great optical power entered into the fiber. This usually happens when you use a dedicated optical carrier 1550 nm in PON to transfer TV signals. If a certain threshold power level is exceeded due to nonlinear scattering of the signal (Brillouin, Raman), new frequency components with reverse and following directions appear in the fiber. In fact, there is withdrawing of the part of optical power from the detected spectrum, i.e. additional loss of the signal transmitted to the main optical carrier. And the back propagating spurious signal can degrade the performance of optical transmitter. In this case, there is a reduction of carrier/noise ratio of TV signal. However, nonlinear effects occur at power levels more than 7 - 10 dB, and modern optical transmitters of TV signals are often equipped with a rejection system for such effects even at levels up to 18 dBm. – measurement of attenuation in the optical linear path. For simplicity, we can make a measurement of optical transmitter power in a cross after WDM multiplexer at a wavelength 1490 nm (OLT emitter) and 1550 nm (transmitter of TV signals)*. In case of non-compliance of the received values with the design data, it is necessary to make measurements directly at the output of both transmitters, as well as at the output of optical amplifier. It is also advisable to measure power at the input of optical receivers of linear and network terminals. *Note. Power at WDM output shall be measured by a device with built-in filters for separate measurement of each wavelength (see further description of the PON-tester MT 3212), as usual power meter will show a certain total value that does not characterize different transmitters. The matter is that photodetector has a fairly good broadband and detects all the incident optical power in the wavelength range 1200 - 1650 nm. However, its sensitivity at different wavelengths is not uniform. So if you, for example, set the tester for a wavelength 1550 nm, and supply radiation with wavelength 1310 nm on its input, you will see the same power value on the display, though it would be wrong because current at the detector unit output will be converted into power, taking into account sensitivity of photodetector at a wavelength 1550 nm. It is imperative to measure the total attenuation in a linear path for all branches of a passive optical network. And if the received loss values are greater than the design ones, it is necessary to take measurements of the signal loss in individual characteristic points of the network (see figure below). Measurement of attenuation of optical network or its segment is usually performed by the insertion loss method (IEC 61280-4-2, Method 1) with a calibrated emitting source and optical power meter or optical tester that combines both of those devices in one housing**. ** Note. In the absence of a calibrated emitting source as a separate device, you may use, as a last resort, an OLT transmitter (for 1490 nm) or optical transmitter of TV signal (for 1550 nm) to measure attenuation at different points of the linear path. Assuming their emitting practically continuous, one shall first measure power at the transmitter output, and then – at a given point of the linear path. The level difference (in dB) would present attenuation of the measured network section. Optical emitting source and optical power meter are usually used for measuring power and attenuation levels in PON. DEPS Company can offer installers a range of such devices manufactured under the brand name Multitest. Compact optical emitting sources МТ3109andМТ3104 are notable for the operating wavelength (1310 and 1550 nm), availability of a visible light source (650 nm, 0 dBm), possibility of low-frequency modulation of the output signal and other parameters. Power meters MultitestМТ1108, МТ1106,МТ1105andМТ1103 have different range of measured power, measurement error, ability to recognize low-frequency modulated signal (270 Hz, 1 kHz, 2 kHz), volume of stored information, type of battery power, etc. Optical tester Multitest МТ3204 actually integrates two devices: optical power meter and optical emitting source. Four modifications of the tester are equipped with the emitters of calibrated wavelengths 850 nm, 1300 nm, 1310 nm and 1550 nm, and photodetectors of different ranges of measurement of optical power: from -70 dBm... +3 (MT3204A) to -20... +30 dBm (MT3204D). Tester for PON-networks Multitest MT3212 is a specialized model for measuring optical power, fully adapted to the specificity of passive optical networks. Testing is performed by switching the device into optical line "to pass", with simultaneous measurement of power at three wavelengths: 1310 nm for the reverse flow and 1490/1550 nm for forward flow. This provides a high (> 30 dB) mutual isolation of channels at different wavelengths. The device can measure the peak power of signals in a pulse mode at wavelength 1310 nm for testing the ONU transmitters. The device dynamic range is 45 dB at wavelengths 1310 nm and 1490 nm, and 70 dB at 1550 nm. The device is capable of measuring high power level (up to +20 dBm), which is typical for optical transmitters of TV signals, operating at a wavelength of 1550 nm with an additional amplifier. Last models of MT 3212 can store the measurement results in their internal memory and have a port to display them on your computer. Measurement of optical power or attenuation in PON networks can be involve some specific problems typical for these very networks. Let’s consider the difficulties encountered, and ways to overcome them. Problem 1. Signal at a wavelength of 1550 nm is transmitted in PON of broadcasting TV by means of transmitters with sufficiently high output power (+8... +18 dBm). Traditional optical power meters are designed for the emitters installed in telecommunication systems (no more than 0... +3 dBm). The attempt to measure a more powerful signal with their help would result either in erroneous results (photodetector will come out of the linear mode), or even in damage of the very photodiode. For measurement of high levels of transmission you should choose modification of optical power meters specifically designed to do this: MT1108C (up to +23 dBm), MT1106C (up to +26 dB), MT1105C (up to +20 dB), MT1105D (up to +30 dB), MT1103CR (up to +20 dB), MT1103DR (up to +30 dB) or use a tester for PON-networks MT3212 (up to +20 dB at wavelength 1550 nm). Problem 2. Measurements of optical power at the transmitter output and receiver input, and of general attenuation in the linear path shall be carried out at three wavelengths: 1310 nm, 1490 nm and 1550 nm. Conventional optical power meters are usually designed for wavelengths 1310 nm and 1550 nm. In principle, broadband photodetectors are used in such devices, but at detection of optical carrier 1490 nm within range 1550 nm would give an error of up to 0.5 dB. This is due to the fact that value of the received power is indicated, taking into account the detector sensitivity value precisely at the calibrated wavelength 1550 nm. The only radical solution to this problem is use of tester for PON-networks MT3212, which can make measurements at all three wavelengths, and at the same time. Even if a better accuracy is required, you can use power meters operating at wavelengths 1310 nm and 1550 nm, and the measurement error of the carrier 1490 nm within range 1550 nm can be accounted for if we know the spectral dependence of photodiode InGaAs sensitivity (broadband optical photodetectors of optical power meters are usually constructed on them). Problem 3. Each customer terminal ONU is connected to the network via a single fiber. And the ONU radiator operates only when receives signals from OLT exchange terminal. Therefore, it is impossible to measure power of the ONU radiator by connection of power meter directly to it. Connection of only the power meter operating "to pass" is possible (see diagram below), since only in this case a signal from OLT that allows transmission comes to ONU. For measurements of optical power "to pass" you need a meter able to withdraw part of radiation (e.g., at bend) and its detections at the calibrated wavelengths. Here again you would need tester MT3212 with the built-in splitter, which measures signals at its end connection to the line and “to pass”, under the real time mode, with small damping (up to 1.5... 2 dB) in the linear optical path. Problem 4. Measuring of ONU radiator power is impossible even through optical splitter (see diagram below). The matter is that during temporary separation of channels in the return flow, only a short time interval for signals transmission to OLT is given to each ONU, and it is the time during which optical power should be measured. Traditional power meters show the average integrated value of power for a certain time interval. Therefore, a value some 20 – 30 dB below the actual power value is displayed at the output of the operating ONU. o measure power of ONU emitter, you can use meters on peak detectors, for which duration of transmissions does not matter, although such devices are more sensitive to noise in the channel and, accordingly, will give a somewhat higher measurement error. More expensive devices make average power measurements during active transmission phases. Tester PON-networks MT3212 can measure peak power of signals in a pulse mode at wavelength 1310 nm with an error ± 0.5 dB, which is quite acceptable for PON. Problem 5. At connection to PON system circuit of TV broadcasting, optical transmitter of TV signals has an output connector with the end polish of APC type (angle physical contact). This is due to the fact that when connectors with other end types are used, a sufficiently strong reflected signal which can worsen the transmitter operation mode may appear at the points of plug connections. At the same time almost all measuring devices have optical ports with PC connectors (physical contact). Therefore, you’d better get hybrid optical cords Cor-XАРС/РС with connectors of the corresponding types to carry out the measurements. Such cords may be also needed for connections to splitter ports, again at construction of PON with TV on the dedicated wavelength. Problem 6. In principle, measuring of attenuation in the linear optical path should be carried out in two opposite directions for the following reasons. First, connection of fibers with slightly different parameters (refractive indices, numerical aperture, core diameter, diameter of the mode field) stipulates different conditions for light propagation in various directions. Secondly, attenuation of passive PON components (especially splitters) will also differ a bit depending on the direction of signals transmission. However, such complex of measurements is very time-consuming. In most actual networks difference in attenuation for opposite directions of transmission is not more than 0.5... 1 dB. Significant differences between total loss values can arise only in the extended network with many splitters. Therefore, providing power reserve of about 3 dB at the design stage, you can also consider possible expenditure for loss difference at different directions of transmission. Typically, performance measurements in optical communication networks are divided into scheduled and emergency ones. Scheduled measurements are taken periodically to monitor key network parameters and predict potential deterioration of transmission quality. However, urgent need in measurements at actual operation of PON arises only in case of emergency (or pre-emergency) situation. In this case, main task of performance measurements is quick definition of the cause for the signal parameters deterioration or damage. Knowing the damage nature you can predict its cause as a rule, but not always. For example, reduction of signal level at receiving may be due either to degradation of laser of optical transmitter and to problems in the linear path: bending of cable or patch cord with inadmissibly small radius, excessive tension of fibers in aerial cable, etc. Therefore, you should first take advantage of the OLT diagnostic system and CTV optical transmitter. Both devices let you control the output level of the laser source, its pump current, temperature and other parameters. OLT control system is also able to identify each ONU customer terminal and control its performance in the network. By identifying the number and location of idle ONU, one can immediately trace the damaged network segment. However, it should be remembered that terminal off the supply network will be perceived as out-of-operation by OLT control system, as well as ONU which are out-of-operation due to break in the network. To find failures in line in the absence of a reflectometer, you can just measure the power level at individual points of the network by means of a power meter, using a radiation source or OLT transmitter. However, this method is not suitable for the networks with caseless optical splitters, and they are used in most cases, since use of case splitters with plug-type connectors introduces quite great loss into the path. Only optical reflectometer (OTDR) can help you localize the failure in the line most accurately. General operating principle of optical reflectometer (OTDR) is in transmitting light pulses which are reflected from irregularities of the fiber refractive index (Rayleigh scattering) or from local irregularities in the linear path (welded or plug connections, deformation of fibers, etc.). As a result, part of the transmitted pulse (reflected signal) comes back and gets onto the device sensitive detector through a splitter. Measuring of the time interval between pulse emitting and arrival of the reflected signal lets us determine the distance from the point of the pulse input into the channel till irregularity in it. Since Rayleigh scattering occurs in every point of optical fiber, measurement of this scattering level lets us determine attenuation of the light signal as it propagates along the fiber. Fresnel reflection occurs at media interface points, for example, at fiber breakage, at connectors installation points. This reflection is displayed on reflectogram as a signal spike that corresponds to a much greater power of the reflected signal than at the Rayleigh scattering. Almost all the technicians who work with fiber optics have an idea of OTDR operation and methods for reflectograms analysis. Detail consideration of these issues requires much time and space. That’s why we shall restrict our consideration to some interesting models, as well as their characteristics and operating modes in relation to passive optical networks. For measurements in PON networks, DEPS Company offers optical reflectometers manufactured by Yokogawa and Radiantech. The models differ in technical characteristics, functional features and software. For example, FiberPal ™ UFO-320 is an optical unit (attachment) for joint operation with your laptop. This is the most economical option of OTDR, its specifications (dynamic range - 35 dB, pulse duration – from 10 ns, etc.) are suitable for work with any access optical networks (PON, optical Ethernet in access networks, cable TV networks, etc.) and medium-length transport networks. The device can be powered from a network adapter or via USB-port, and the reflectometer power consumption does not exceed 3.6 W. The device is completely Russified and comes with a user manual in Russian. Model FiberPal ™ OT-8810 is the latest development of Radiantech, which combines a new ergonomic design, time-tested software, and advanced technical features. Miniature device weighing 2.5 kg is equipped with a 7-inch touch screen of high resolution. The dynamic range up to 38 dB and high sampling density make this instrument applicable both at main lines and for testing of local optical networks (FTTx, CATV, optical LAN, etc.) Rechargeable Li-ion battery provides autonomy to the device for 3 hours, and stronger and sealed housing protects against any environmental influence and accidental damage. The device id provided with a Russian menu and user manual in Russian. Reflectometers AQ7270 by Yokogawa is a series of technically advanced models with some functional differences and characteristics of the optical units. In terms of measurements at PON, the optimal device is Yokogawa AQ7275. Enhanced stability of the laser source allows measurements in PON networks at optical splitters with many output ports (up to 32), pulses of ultra-small duration (from 3 ns) increase accuracy of damage detection; internal adjustable attenuator (up to 15 dB) reduces influence of the dead zone, which is record-breaking small (0.8 m – by reflection). The instrument can be used as an optical tester using internal radiation source with several modes of low-frequency modulation and the power meter. One port is a built-in visible light source for testing the optical cords. A built-in compensating fiber (up to 100 m) and distance range 0.5 and 1 km are used to optimize the measurements at short sections. A reflectograms overlapping mode (А→В) and (В→А) can be used to make finding of irregularities convenient. AQ7275 is supplied with a user manual in Russian. When selecting an OTDR model, one shall realize which parameters of the device are important (even critical) for testing the PON, and which ones simply make operator’s work more convenient. You know, these devices are quite expensive and, if you choose an OTDR with redundant functions you just pay extra for a few functional conveniences, but choice of the model with "shortfall" in parameters is much worse. Having spent a fair amount on the meter, you'll only occasionally use it properly, and in other cases, rent additional equipment or spend considerably more money, time and efforts, to localize the damage, for example. So, let’s consider the main characteristics of reflectometer from the point of view of its application in passive optical networks. Dynamic range (in dB) is an important parameter, indicating the measuring capabilities of reflectometer. Its value is defined as difference between the levels of the emitted and the signal detected by OTDR at signal/noise ratio equal to unity. Given the dynamic range of PON (26 - 29 dB) and the margin required for a reflectometer with a minimum error (2 - 3 dB), we can recommend the value 32 - 38 dB for networks up to 10 - 20 km long. Reflecometers of range less than 30 dB is possible, but design values of loss budget should be considered. Dead zone (in meters) characterizes temporary "blinding" of photodetector in contact with a great reflected power, especially from plug-type connectors at connecting through a patch cord to the line. The reflection dead zone is a minimum distance between two adjacent reflecting irregularities detected with OTDR. The value of 2 - 3 m is considered to be good enough. Attenuation dead zone is usually somewhat higher. It shows minimum distance that reflectometer requires to detect a non-reflective event after a strong reflection. Value 8 – 10 m is quite suitable for actual measurements. Operating wavelength (in nm) defines the spectral range in which measurements will be held. Given the characteristics (transmission of forward and reverse channels at different wavelengths), it is necessary to have an OTDR with radiators at wavelengths 1310 nm and 1550 nm. If you can afford it, you’d better acquire a radiator for 1625 nm as well. At this wave you can make measurements in the current PON without communication gaps, as reflectometry signals will be carried over the wavelength together with the information ones. In addition, irregularities associated with critical fiber bends are seen much better at 1625 nm. Pulse duration (in microseconds) is an important parameter in terms of damage location. If damage occurs at the initial network sections, then pulses of short duration are usually used for greater accuracy in determining the damage. Pulses of greater duration are used in case of damage in remote parts of the network. Given the relatively short length of PON, it is desirable to use OTDR with a minimum pulse duration 10 ns. View range (in km) is a range of distances within which the reflectometer gathers information about the reflected power in the line. The range is set by OTDR operator himself and is usually a bit higher than the actual line length. Error in the range setting can result in the greater distance measurement error or in appearance of phantom (false) spikes at reflectogram. The most advanced models of reflectometers perform preliminary scanning of line in automatic mode and determine the optimum range for viewing. Given the possibility of measuring short line sections in PON, it is advisable to have minimum view range 2 – 6 km or less in OTDR. Real-time mode is the mode in which OTDR does not perform long-term averaging of the accepted values, but at once displays the current value of the reflected power. It is very practical for quality control of the connection when the reflectometer is connected to the cable optical fiber through adapter. Automatic measurement mode is useful for inexperienced users – in this mode the device itself selects the wavelength, view range, pulse duration and other parameters. Recognition of active device switched at the far end – a useful function when working on the operating PON. Reporting is a function that allows you prepare all the data on the measured network segment in a convenient form (total line length, total attenuation, loss at welded joints, reflection loss, etc. ), that can be submitted to the customer of work and/or stored for later use during operation. Built-in red light source is a laser emitter with a wavelength 650 nm, provided with a separate output port and used for visual trouble-hunting in fiber cords and connections (see last section of the article). This function is useful in an installer has no special tool, though it slightly increases the cost of the device. Mode of simultaneous scanning of several reflectograms is useful at trouble-hunting, especially non-critical, not associated with fiber breakage (low-quality welding, bending with a very small radius, micro-cracks, etc.). It is simpler to localize the damage point when comparing the reference (made after construction) and the "emergency" reflectograms at the same screen. With the overlapping function it is very useful to compare the reflectograms made at wavelengths 1310 nm and 1550 nm. Operation in the mode of optical tester with low-frequency modulation – is the capacity of some OTDR to work programmatically as a pair of devices (calibrated radiation source + optical power meter). At that, LF-modulation of the output radiation at several frequencies is possible for identification of individual paths. This function is useful of an installer has no optical testers, though it slightly increases the device cost. Each OTDR is characterized by many other parameters defining its operation. Quality operation of a reflectometer is also determined by special features of control over radiator operation, processing circuit for photodetector unit, software for signal processing and other characteristics that are difficult to compare quantitatively. Therefore, when choosing a particular model we recommend deferring to the advice of DEPS experts. Some specific questions arise during reflectometric measurements at PON. Question 1. From what side shall the measurements be carried out at trouble-hunting at PON? It would be logical to perform such measurements from the station to subscribers. In this case reflectometer scans the entire network and, at the optimal settings of the scanned parameters, can detect damage at any section. However, such a connection is only possible at disconnection of all the subscribers of OLT equipment. Moreover, at a sufficiently branched architecture with a lot of splitters and possibly plug-type connections, the reflectogram will be a "grab-bag" with information about attenuations and reflections at various network sections, which would be extremely difficult to identify. If the damaged area is not far from one or several ONU, it makes sense to scan the line from subscriber terminals to the station. According to the experiments, reflectometer can define the damage nature and its place quite successfully, if there are just one or two splitters between OTDR and the irregularity. It is very convenient to connect a reflectometer directly to the area at which damage was identified with the help of OLT. But such a connection is possible only in switchgears (cabinets, boxes) provided with detachable connections. Question 2. At what wavelength shall be carried out the reflectometric measurements at PON?? For inactive network, fault finding by means of a reflectometer is recommended at wavelength 1550 nm (critical bends are seen better on it) or 1310 nm. Fiber damping factor should be rather defined on both of these wavelengths. Reflectometric measurements in an operating PON network at wavelengths 1310 nm and 1550 nm is extremely problematic. First, high power pulses of OTDR emitter would sharply increase the bit error when they fall onto photodetectors ONU or OLT together with the information signals. On the other hand, signals of transmitters 1310 nm and 1550 nm falling on the photodetector reflectometer will have a sufficiently high amplitude as compared with the weak echo pulses of OTDR, that would result in distortion of the reflectogram. The most practical way is to carry out measurements only in the damaged network branch: from the last splitter to ONU, where signal is definitely not received (see figure) or from ONU to the fault, if it is a fiber breakage – the signal will not go further into the network. In principle, a radiation source for 1650 nm can be installed in reflectometer to your order, especially for testing PON without communication gaps. But since you still need the sources for 1310 nm and 1550 nm, the unit cost will increase substantially. In addition, it is possible that harmonics of a powerful signal of reflectometer will be partially detected by ONU receiver within range 1550 nm and will worsen a bit the quality of the received TV signal. Question 3. Are correct measurement of attenuation factor for a cable short length (several tens of meters) possible with the help of reflectometer? Indeed, reflectometry has problems with measurement of the so-called "short-lengths" related to the fact that OTDR photodetector is very sensitive, designed to receive the reflected power of Rayleigh scattering, which is several million times smaller than power of the transmitted pulse. Due to level drops, the photodetector may come out of the linear mode. If there are welded connections on optical fiber in the beginning and end of the measured section, then a good OTDR will allow more or less accurate measurements. But the attenuation factor shall be defined only on the linear section of reflectogram, as far as possible from the joints. And if the fibers are connected via connectors, strong reflection from the connections can significantly distort the results. Therefore, when measurement is carried out, a fiber compensating coil (not less than 100-200 m) should be switched before the first connector of the measured section. Question 4. How to measure the attenuation factor of the cable if its far end is not connected? – weld a pigtail with a connector of APC type (with angular end polish) to the fiber far end. Question 5. Is it obligatory to take reflectometric measurements at two wavelengths – 1310 nm and 1550 nm? All depends on the damage nature. If there is a clear break, we can make measurements at one wavelength, at that even not very critical at which one. But if there is local increase in attenuation, the measurement at two wavelengths is required to identify the nature of irregularity. For example, in case of a strong fiber bending, difference in attenuation at 1310 nm and 1550 nm will be significant, and in case of faulty welding – there will be almost no difference. Very often accident on PON is caused by damage of optical cords (especially patch cords). This is due to careless handling or staff members or users with the cords connected in optical cross, switchgears or subscriber terminals. Small-radius bends, bumps, snatches, compressions, etc. can form cracks or fiber breakage both in the cord, and at its end adjacent to the connector housing. Sometimes problems are connected with the poor quality of the cord, which cannot withstand multiple rearrangement operations. Problem can be detected by using a simple but very useful device - the source of visible laser light. This source has a laser for wavelength 650 nm (red light) and universal connector for coupling to the connectors of FC, LC, SC and ST types with a core (ferrule)diameter 2.5 mm. When the source is connected to cord, the damaged area will shine brightly and will be easily detected visually, at that emergent radiation will be clearly visible even through the cord housing. For convenience of a meter-man, the instrument can generate both continuous and "flashing" radiation of frequency 2 or 3 Hz. Sources MT3105 and LEADLIGHT VF-65-BU2S with slight design and functional differences are made on this principle. Radiator power of 0.5…1 mW allows actual viewing of up to 5 km of fiber. The source of visible light can easily discover not only defective connection cords, but also low-quality welds and critical bends of fibers in cross devices, switch boxes and sleeves. It should be noted that some "artisans" attempted to make a similar device from the laser pointer, but they failed to input much of the power into the fiber. At the current stage of development of telecommunication technology, passive optical networks have significant advantages, which predetermine their widespread introduction in customer access networks. 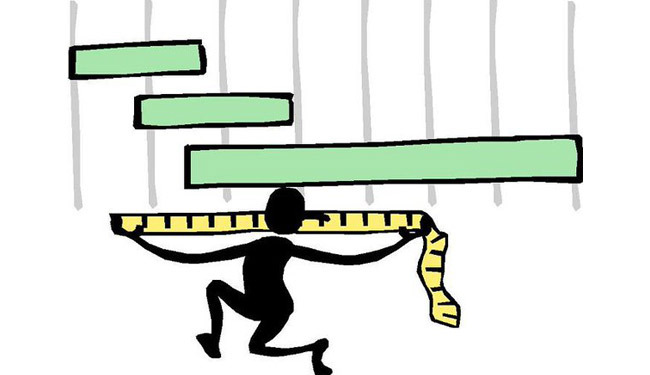 However, measurements (both acceptance and performance) still involve some difficulties, most of which are objective. It is therefore important to know about the problems associated with measurements, which may occur at various stages of work with PON, and also to choose the measurement means in accordance with the features of your network and your economic possibilities. Personnel of DEPS Company are always ready to help you with an effective advice.